Learn more about Susan’s Unique Psychic Abilities. Susan Rowlen is a gifted Psychic Medium, intuitive and heart-centered healer who has given countless psychic and medium readings to clients all over the globe. 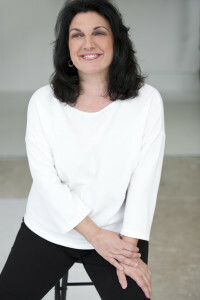 Her authenticity and extraordinary psychic abilities allow her to connect with loved ones who have crossed over and provide clarity and guidance to those seeking direction on their life’s journey. Named one of the Top 10 Chicago Psychics, Susan’s media exposure includes appearances on Windy City Live, The Steve Dahl Show 89 WLS, Girls Night Out with Hannah Stanley 720 WGN, Brian Noonan 720 WGN Radio, Lifescape Radio and more. Of note is Susan’s work with Chicago Paranormal Investigators and other Paranormal groups including providing key information relating to the Congress Theater Investigation and others. Susan is passionately committed to using her special gifts to help facilitate peace and healing for First Responders, Military Personnel and Emergency Professionals, especially those suffering from Post-Traumatic Stress Disorder. As a child, Susan did not have a conventional childhood. From the age of 6, Spirit singled her out and set in motion her journey to provide healing, clarity and guidance. Blessed with the gifts of seeing the Past, Present and Future, Susan has been in constant contact with spirits, voices and visions in order to help others make sense of their lives. In her early life, Susan chose to use her unique gifts selectively to help those close to her as well as local officials and businesses in need of direction. However, she soon became aware that she possessed rare and valuable gifts which should be used for the greater good. Not only has she used her unique abilities to provide spiritual guidance and healing to people of every age in every walk of life throughout the world, but on a personal level, her gifts also enabled her to defeat her own daughter’s Autism. As a professional Psychic Medium, Susan uses her abilities to help clients gain deep insights into their life journey and gain spiritual growth, shining light on relationships, love, career, business and family. Susan treats her special gifts with the utmost integrity and respect. As she says: “It is an honor and a privilege to help people connect with their loved ones in the Spirit World and to provide intuitive spiritual insights, healing and direction to those seeking guidance, closure and comfort”. Clients often describe Susan as being warm-hearted, highly accurate, intuitive, inspiring, a compassionate listener, non-judgmental, and the real deal when delivering psychic readings and mediumship readings. Susan currently lives in Aurora, IL with her husband and daughter. A gifted spiritual healer, she is ready and uniquely qualified to help you transform your life. For more information – see Susan’s Frequently Asked Questions page.